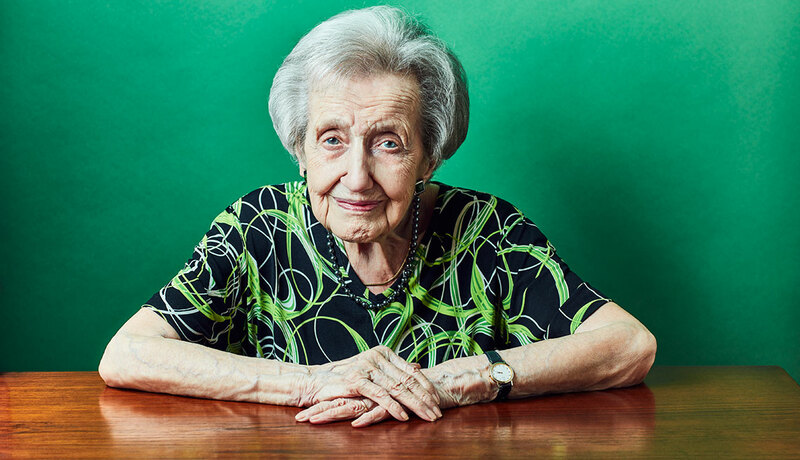 Dr. Brenda Milner is Canada’s preeminent neuropsychologist, having pioneered research into the human brain; many consider her a founder of the field of clinical neuropsychology and cognitive neuroscience. She is the Dorothy J. Killam Professor at the Montreal Neurological Institute and Hospital, and a professor in the Department of Neurology and Neurosurgery. Her contributions revolutionized our understanding of how brain structures govern different learning, memory, and speech functions, and she has received numerous major awards and honours. Her career spans more than 70 years – 60 of those years as a member of the McGill/Neuro community, where she directed the Neuropsychology Laboratory at the Neuro and taught in the Department of Neurology and Neurosurgery. She celebrates her 100th birthday in July 2018, and continues to teach and conduct research at The Neuro. Brenda Milner (née Langford) was born in Manchester, England on July 15, 1918 to a music-critic father and a music-teacher mother. Curious from a very early age and a precocious learner, by six-years-old she was already fluent in German, and was taught French as a schoolgirl by her mother. Initially enrolling at Cambridge University in 1936 for mathematics, she says, “I had not been long at Cambridge before I realized that I would never distinguish myself in mathematics”, later switching to psychology, but nonetheless still appreciating the reasoning and elegance offered by math, saying “If you’re in the wrong career, don’t hesitate to change. I could be a mediocre math teacher in high school today." The Department of Psychology at Cambridge had a developed physiological orientation and shared quarters with the renowned physiologist Lord Edgar Adrian. It was during her time under supervisor Dr. Oliver Zangwill at Cambridge that Milner learned the value of studying brain lesions and the possibility of examining cognitive disorders to gain insights into the functioning of the normal brain. Milner began her Master’s degree at Cambridge focusing on experimental psychology, which eventually became a project directed to helping the British war efforts in 1939. Instead of her original research studying responses to sensory misinformation, Milner became part of a team interested in distinguishing fighter pilots from bomber pilots in aptitude tests. 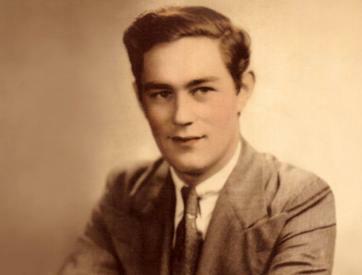 During the Second World War, she worked in Britain’s Ministry of Supply, where she met her future husband, Peter Milner. While completing her MA at Cambridge, in 1944, Brenda and Peter ventured to Canada, where Peter, an electrical engineer - and later neuropsychologist - was invited to work with physicists on atomic research. Settling in Montreal, Brenda joined the Institut de Psychologie at the Université de Montréal, where she taught for seven years. 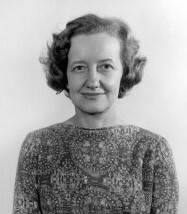 In 1950, Milner resumed her academic studies at McGill in the Department of Psychology. Under the supervision of Dr. Donald Hebb, she investigated the intellectual effects of temporal lobe damage in humans, earning herself a PhD in 1952. Hebb secured a tenured research position for her with Wilder Penfield at the Neuro studying epileptic patients, however, Milner decided to continue her work with Penfield at the Neuro, despite Hebb’s warning that a psychologist would not last long in a neurological institute, stating "I began to carry out research at the MNI, and knew immediately that this was the kind of work I wished to pursue, whatever the practical difficulties." It was through this work at the Neuro that Milner gained recognition and was consequently asked by William Beecher Scoville, a neurosurgeon in Hartford, Connecticut, to come to Hartford and work with a patient known only as H.M.
Dr. Milner’s significant contributions to our scientific understanding of the structure of the human brain are in large part thanks to her thorough and methodical long-term studies on patients before and after well-documented brain excisions. In 1955, Milner met Henry Molaison, the famous patient H.M., a 29-year-old Connecticut man who underwent an experimental operation removing portions of his brain to relieve severe epileptic seizures. The surgery was successful with respect to treating his epilepsy, however, he suffered severe side effects, including the inability to commit new events to long-term memory. The moment Henry’s attention was diverted, he became unable to recall events prior. Even though Dr. Milner worked with him for more than 30 years, Molaison never remembered her name. Milner conducted careful experimentation with Molaison, which resulted in the discovery that while he did not remember learning specific tasks, he improved at them, showing that his motor memory was intact; he remembered how to perform certain physical drawing tests, even though he had no memory of learning them, which demonstrated that memory recollection is separate from other memory functions. "To see that HM had learned the task perfectly but with absolutely no awareness that he had done it before was an amazing dissociation. If you want to know what was an exciting moment of my life, that was one," says Milner. The concept of multiple memory systems was groundbreaking at the time and spurred a huge body of international research. Dr. Milner’s dedicated work with Molaison was an early example of cognitive neuroscience research, before the field had even been established. An important goal of cognitive neuroscience is linking brain structure to function, as Dr. Milner did by showing that the temporal lobes of the brain play a key role in memory. The 1957 article (Scoville and Milner, 1957), which published the results of her memory research, has become one of the most cited publications in the field of neuroscience. The recognition of the importance of Dr. Milner's work with Penfield and William Scoville's patients spurred a new era of neuropsychology at the MNI. Theodore Rasmussen, aware of the nuances of psychometric testing, began to coordinate the timing of his surgeries with Milner's availability to allow her the time to properly study his patients pre- and post-operatively. In the following years, Milner made several seminal studies in identifying the brain regions involved in language, in bilingualism and in spatial memory. She also pioneered the use of sodium amytal as a way to inactivate parts of the brain temporarily before surgery as a way to assess memory functions, a method that later became widely used throughout the world. In 1989, Dr. Milner and her colleague, Michael Petrides, jointly received a major McDonnell-Pew grant to establish a centre for cognitive neuroscience at The Neuro, which facilitated a close relation between the neuropsychology unit and The Neuro’s newly created brain-imaging unit. In 1990, she stepped down as director of The Neuro’s Neuropsychology/Cognitive Neuroscience Unit to carry out research as McGill University's Dorothy J. Killam Professor of Psychology. She also monitored the studies and research of more than a dozen graduate students. Over the last two decades, Dr. Milner’s research has focused on two themes: how the brain of bilingual people handles language, and how structures in the brain's medial temporal lobe serve in the memory to locate objects and to recognize an object's features. With her colleague, Denise Klein, she used brain-imaging to investigate whether performance in a second language involves the same neural substrata as that in a first language. Her other studies revealed the importance of the brain's right hippocampal region in spatial memory. Her research also demonstrated how the brain's frontal cortex acts to place recent events in temporal order. This work made insights into the relationship between speech patterns and right- and left-handedness. In recent years, Dr. Milner has entered an increasingly public role, giving numerous interviews for television, radio, podcasts, newspapers and magazines. She has become one of Quebec and Canada's best-known scientists at home and around the world, in part due to national and international media reporting on her career and research. Dr. Milner was also invited to deliver some of the most prestigious lectures in science. Among these was an address describing her seminal work on memory to the 2014 World Congress on Brain, Behaviour and Emotions in Montreal, and the inaugural Governor General Lecture at Queen’s University, Kingston, in 2005. 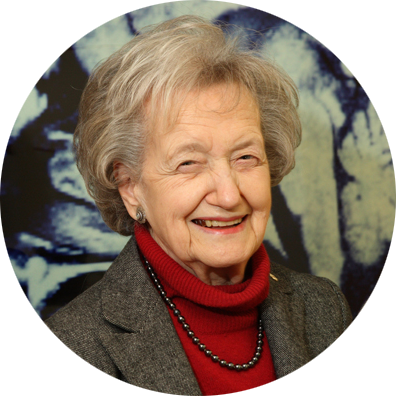 In 2007, The Brenda Milner Foundation was created thanks to a major donation by Dr. Milner to support post-doctoral fellowships in cognitive neuroscience at The Neuro. The American Psychological Association (APA) created the Brenda A. Milner Award for the best paper in behavioural neuroscience by a recent Ph.D. graduate. These sponsorships ensure that Dr. Milner’s name will continue to resonate in the neuroscience community for years to come.